And it begins! 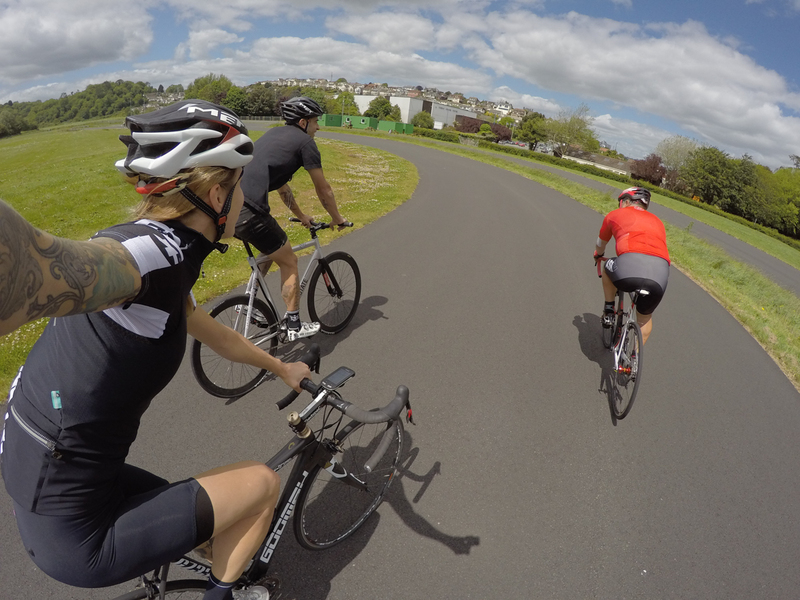 With no time to spare, James from High Rise Coaching and yours truly have got cracking on what’s to be a pretty intense month of cycling, the aim being to see how much difference you can make to your fitness in such a short time. To prepare for the challenge, James asked me to complete a functional threshold test, which is a very effective way of figuring out where you are in terms of fitness, and is invaluable in terms of figuring out at what intensity to ride. Though I have decided I’ll be following James’ advice to the T, the first thing I did was disobey his instructions to complete the test on a turbo trainer, because I absolutely detest them. I figured that I’d be able to push myself harder if my head and heart were in it, and that outdoors would be a far better place for me. 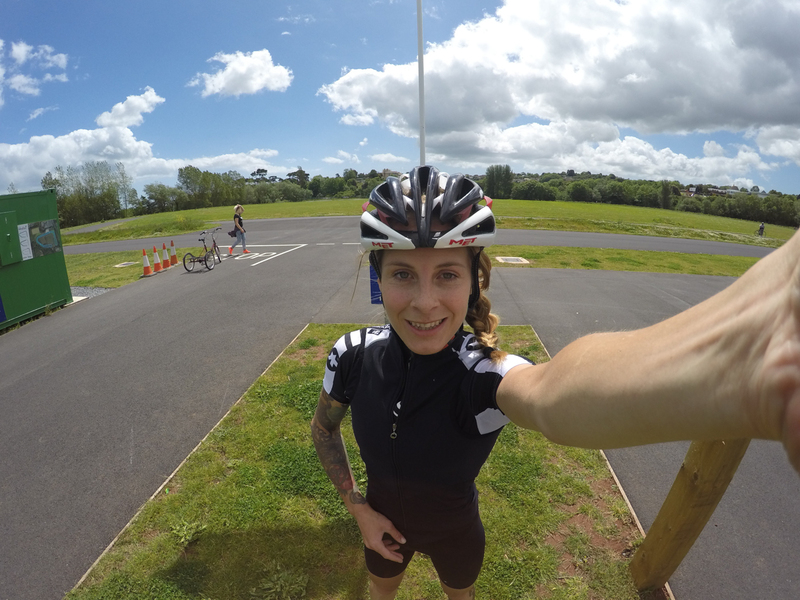 I suffer quite badly from the heat exhaustion on the turbo too, so I felt that a cooling breeze would be a big help and luckily for me, there’s a fantastic training facility down the road at Torbay Velopark – it’s a closed road, flat, smooth and traffic free circuit, so I headed down there to do the test. It goes like this: with a heart rate monitor and a cycle computer (I use the Garmin 1000) being by warming up for 5 minutes. Gradually increase the intensity for the next 5 minutes, including some very short sprints, until you’re very warm and working hard. When the ten minute warm-up is over, press start on your Garmin and ride as hard as humanly possible for the next 20 minutes. It’s it’s not totally insanely agonising, you’re not trying hard enough, and I think I looked like a terrifying lunatic to all the other velopark users! Your result is your average heart rate over the 20 minutes, and in case you’re interested, mine was 170bpm. From that James has figured out heart rate zones that I can ride in depending on what tasks he has set me for the day and I can programme those zones into my user profile on the Garmin so that when I’m cycling I know which zone I’m in. Cool, huh? So FTP done and out of the way (thank god! ), today is my official first day of the challenge, and I’m pretty glad that all I have to do is a nice easy recovery ride to get my legs moving – a pleasant surprise because I’ve been riding hard all week and need a break! .Previously How Fit Can You Get In A Month?